Believe it or not, the first recorded use in the history of stair lifts was by King Henry the VIII in the mid-1500s! Historians give an account of Henry commissioning a “chairthrone” to aid him in ascending and descending the 20 steps at Whitehall Castle. It is believed that the stair lift was human powered, using a block and tackle system borrowed from one of the King’s warships. 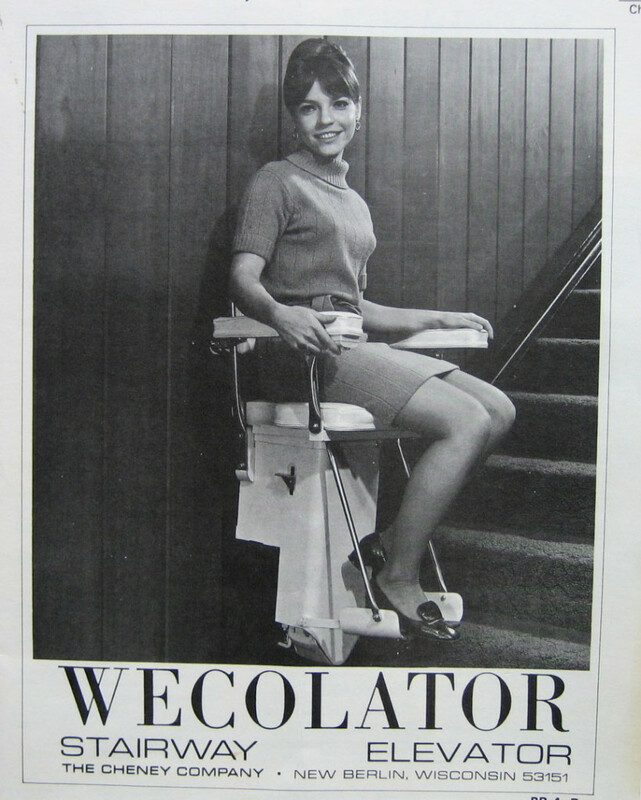 The earliest recorded use of a modern stair lift is in the United States. In 1923, C.C. Crispen designed a seat that could climb stairs for an ailing friend. He called it the Inclinator. Both companies were acquired by Access Industries in 1991, and besides producing residential elevators and wheelchair platform lifts, Access Industries produced a popular line of stair lifts including the Silver-Glide, Stair-Glide, the Citia, and Excel stair lift. In 1999, Access Industries was acquired by ThyssenKrupp Elevator, a German based company. Newer model stair lifts by ThyssenKrupp include the Levant, Comfort, and the Flow II stairlift for curved stairs. In the United Kingdom, the Stannah Company began building elevator and lift systems in 1867. In 1975 Stannah produced their first stairlift and recently finished shipping their 500,000th stairlift in 2011. The Stannah family still owns and actively manages the business, which distributes their products worldwide. They are known for very stylish, easy to use, and extremely safe stairlifts. Current models are the 420 line for straight stairs that have multiple chair options including the Saxon, Solus, & Sofia and the 260 chair designed for stairs that have turns. Note that in Europe stairlift is usually one word, while in North America, it is often two words. Another British stairlift company, Acorn Stair Lifts, began business in 1992 by buying up used lifts made by other manufacturers & reselling them. They soon designed and built their own stair lift, the Acorn Superglide. Acorn entered the United States stair lift market by internet selling of the low-priced Superglide direct to consumers for do-it-yourself installations. They have since become a fast growing stair lift company and have moved away from the DIY market and now offer nationwide installations in North America and Canada. Bruno independent Living Aids is a family-owned business started in 1984 that distributes a wide range of accessibility products worldwide. Based in Oconomowoc, WI, they are noted for vehicle lifts, turning automotive seating, and a popular US made line of stair lifts including the Electra-Ride LT, Electra-Ride II, Electra-Ride Elite, and Electra-Ride III curved rail stair lift. Many design features in some of the earliest models are still used in newer ones today. Chair pivoting at the top of the steps and various degrees of folding ability are examples of this. Of course, many improvements and innovations have been made over the years. Installations are easier, there are more safety features built into some models, ease of use continues to improve, and in 1992, battery operation was introduced, which lowered the cost of installations and gave a much improved ride quality as well as the ability to operate during power outages. There are even units designed for outdoor use. As always, there are differences from manufacturer to manufacturer and especially differences in the training and expertise of installing and servicing companies. Make sure and talk with a stair lift expert at American Elevator if you think a stair lift would help you or a loved one enjoy the full use of their home. We’ll help you select just the right one for your individual abilities and need.